Read this report on maximizing IT reliability through service automation. 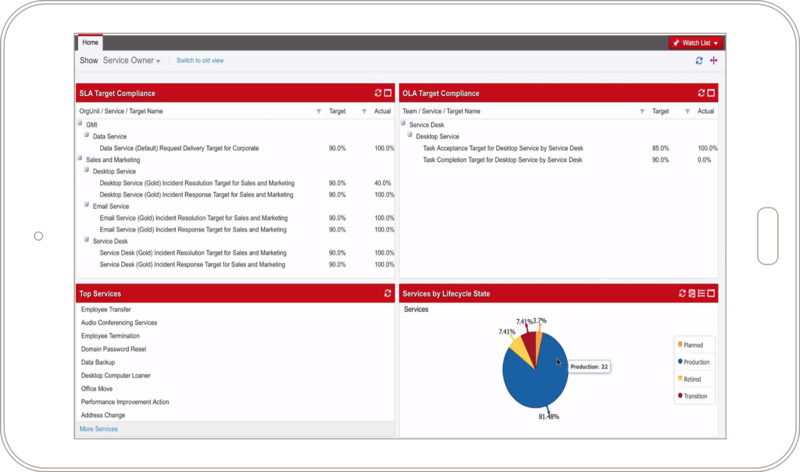 Ivanti Service Manager provides a centralized management console to design, build, and monitor service agreements throughout their lifecycle. Manage related activities and communications so teams can take action if services fall short of established targets, lowering SLA compliance costs while increasing service quality. Increase customer satisfaction and manage costs through SLM analysis to more accurately define and deliver on customer expectations. Our users love the new Ivanti system. Managers love having the information they need in easy-to-use dashboards and reports.